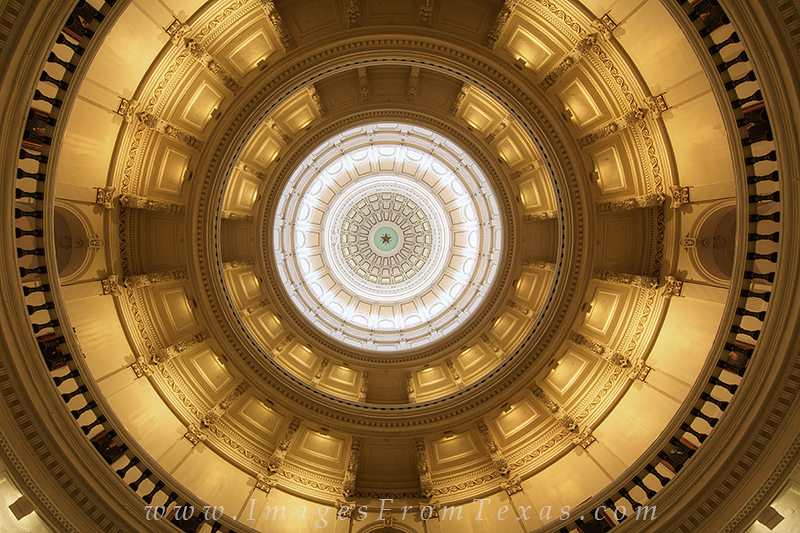 Looking up at the dome from the Rotunda of the State Capitol, visitors are greeted by a Texas Star surrounded by "TEXAS" letters that are 8 feet in diameter. From the floor of the capitol, though, they look pretty small. Looking up at the dome from the Rotunda of the State Capitol, visitors are greeted by a Texas Star surrounded by "TEXAS" letters that are 8 feet in diameter. From the floor of the capitol, though, they look pretty small. Photo © copyright by Rob Greebon.